Starring Jon Favreau, Emjay Anthony, John Leguizamo, Scarlett Johansson, Sof�a Vergara, Robert Downey Jr., Oliver Platt, Dustin Hoffman, Bobby Cannavale, Amy Sedaris, Russell Peters, Chase Grimm, Will Schutze, Gloria Sandoval, Jose C. Hernandez and Gary Clark, Jr. Distributed by Open Road Films. 115 minutes. Rated R.
Writer, director and actor Jon Favreau has spent most of the last decade as part of the Hollywood hit-making factory. As a director he has toiled on blockbusters like Iron Man (which granted, was terrific), Iron Man 2 (which was not so much) and Cowboys & Aliens (which was pretty damned awful). 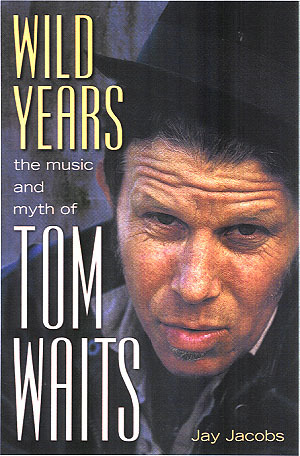 As an actor, he was a supporting gun-for-hire on such odd projects as Identity Thief, Couples Retreat (which he also wrote), I Love You Man, Zookeeper, John Carter, Four Christmases and of course the Iron Man movies � giving brief and mostly forgettable cameos in mostly forgettable formula movies. It makes it easy to forget that he first popped onto our radar in 1996 by writing a starring role for himself in the smart, tiny, personal comedy drama Swingers. Early films like Made and even his directorial debut Elf were also surprisingly quirky and thoughtful. However, it was looking like he had lost the will (or perhaps even the ability) to create such artistic, intelligent, understated fare. Therefore, it's a nice surprise that Favreau has decided to downsize on this sweet comic drama of personal salvation. The character feels particularly trenchant to him � a once-up-and-coming gourmet chef who has sold his artistic soul out to serve food that feels prepackaged and dull to him. However, it is only when he decides to buck the system and make the food that he wants to share can he find true happiness. Swap out food for films, and it sounds like there may be a bit of an autobiographical edge there. Good for him, it's about time Favreau started looking back at his own experiences to enlighten his work. 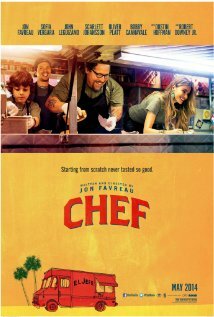 While Chef is not a perfect film, it is Favreau's most consistently pleasurable job as a writer and actor since Swingers. Returning to the DIY milieu that made Swingers so refreshing in 1996, Favreau has re-found his mojo as a filmmaker. Hopefully this will be a fascinating new direction in his work, not just a pit stop between cheesy blockbusters. Copyright �2014 PopEntertainment.com. All rights reserved. Posted: May 24, 2014.